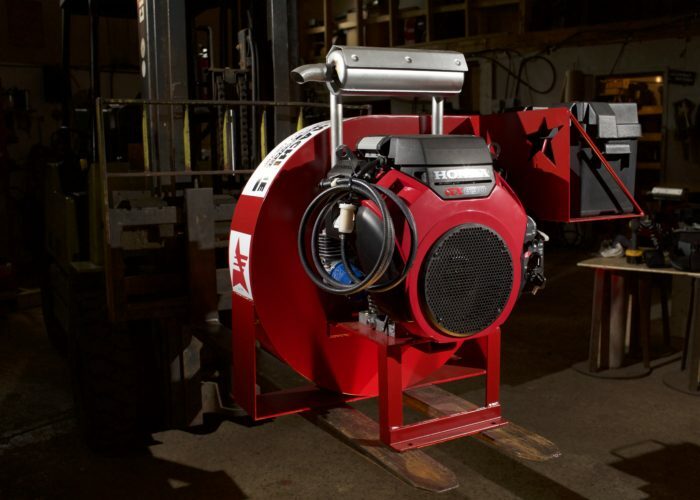 The 2406G Mounted Insulation Vacuum is ideal for large residential and commercial jobs. With the Honda GX690 688CC Engine, the 2406G can remove entire batts of insulation without assistance. 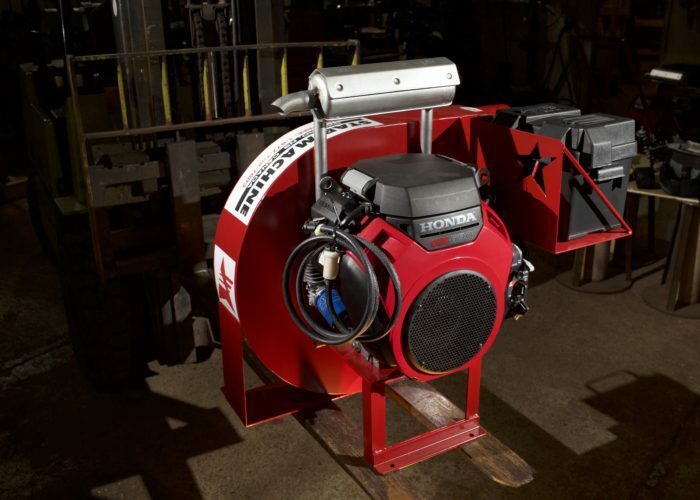 The 2406G Mounted Insulation Vacuum is our most powerful vacuum, using the same 24 HP Honda® Engine as the 2406G Mobile Insulation Vacuum, but this model is built on a heavy duty steel constructed frame made for permanent mounting in a truck or trailer. This is an option made available for those who know they will be working on a number of jobs where insulation removal will be a large part of the job, and disposal within a trailer is the easiest method of containing the removed insulation. 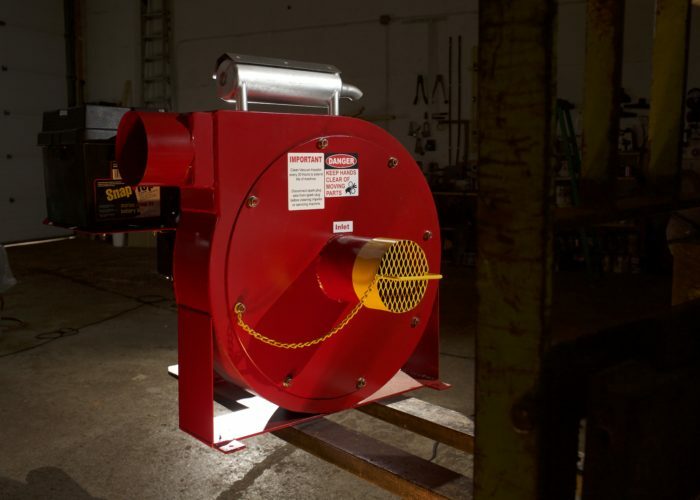 We use 1/4” steel back plate for the construction of both the 20” impeller fan and the housing that contains it. The impeller is balanced electronically before it is mounted within its housing to make operation as smooth as possible. The 24 HP Honda® Engine that we use has a portable 5.5 U.S. Gallon gasoline tank for ease of refueling, electric start with a 12-volt car battery, and low oil protection. 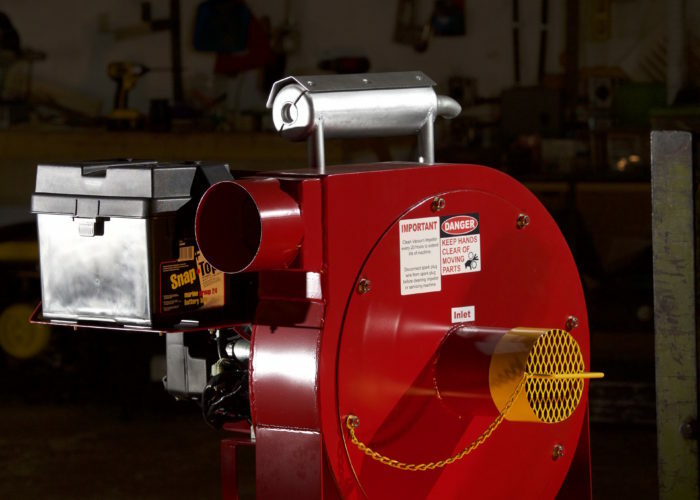 We understand that insulation removal is not always a fun, or clean job, which is why we designed this vacuum to be the ideal tool to make insulation removal easier than ever before.